It all started last May, when Sammy began having headaches. At first, his family and doctors thought the 10-year-old was suffering from migraines. At just 10 years old, Sammy Rowland is a champion on the baseball field -- and he's got the trophies to prove it. “I've always wanted to play baseball; that's my dream -- to get into MLB,” Sammy said. But this little ball player is also a fighter, and he's got the scar to prove it. 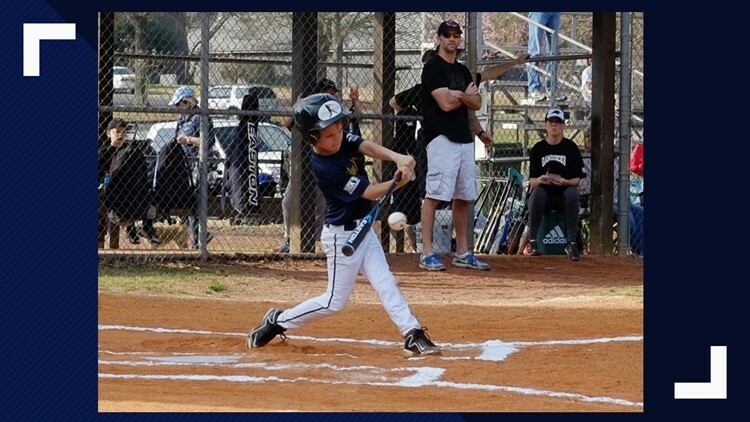 Sammy was diagnosed with a brain tumor almost the size of a lemon in his left temporal lobe, but thanks to new technology, he was back on the field with his little league team only a few weeks after his surgery. It all started last May when Sammy began having headaches. At first, his family and doctors thought the 10-year-old was suffering from migraines. When his parents asked where his head hurt, Sammy said all over. Joey Rowland, Sammy’s dad, said they found it odd he couldn’t pinpoint an area like with a normal headache. An MRI revealed a dark diagnosis -- a brain tumor. The family didn't have much time to process the news. The diagnosis came on a Wednesday, and his surgery was quickly set for that Friday. Sammy had his eyes set on returning the diamond, though. 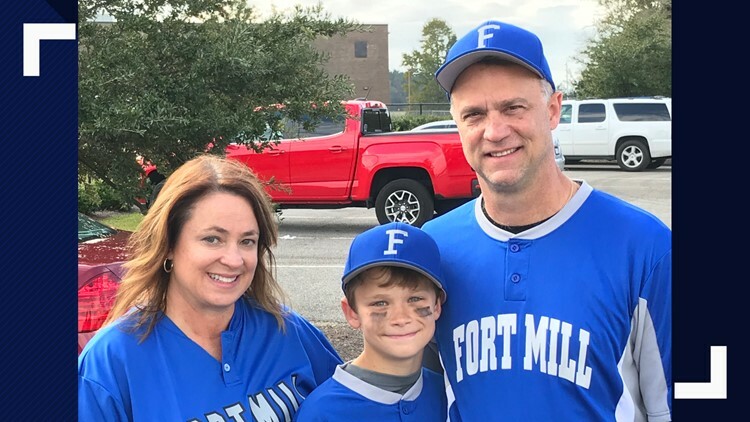 From the start, he told Dr. Erin Kiehna that his number one priority was to get back to his little league games. Dr. Kiehna was determined to make that happen. "Sammy is this quite gregarious child; he exudes charisma and laughter,” Dr. Kiehna said. She first met Sammy in the emergency room at Novant Hospital, where there is a 24-7 pediatric emergency room. Dr. Kiehna talked with Sammy and told him that if he let her do what she needed to do, she would let him play in his championship only three weeks later. Dr. Kiehna is the chair of Neurosurgery at Novant Health Presbyterian Medical Center. She's also one of the first surgeons in the country using a new device called BrainPath -- which is what she used to take out Sammy's tumor. BrainPath allows surgeons to target tumors without cutting through brain tissue. Instead, they're able to use the brain's natural crevices. Dr. Kiehna said the biggest reward she gets, especially when using this technology, is being able to watch the kids she helps to grow up. “I have seen countless patients now where this has lead to a better outcome, a shorter hospital stay, better recovery. I think it allows them to grow up and lead a normal life,” Dr. Kiehna said. With Sammy, she was able to use the minimally invasive technique -- with a tubular system only 14 millimeters wide -- to access a crevice straight into the cystic portion of the tumor and see everything she needed to see without tugging on the brain. She said Sammy faced this challenge like a champ. Dr. Kiehna said Sammy was optimistic during what is a painful and difficult time for anyone, much less a 10-year-old. She said Sammy kept a smile on his face right back to the operating room and as he left. According to Dr. Kiehna, the pain from the flesh wound usually goes away in about two to three days after the surgery. When Sammy saw the scar left behind, his first thought was about how cool it looked -- his brother even got a video of the 10-year-old calling himself a Terminator. He had just seen the movie and felt connected to the titular character through his new scar. Sammy had his surgery on a Friday and was discharged Monday. Saturday was hard for the little guy -- his dad said Sammy couldn’t get out of bed. He was in a lot of pain, and his face was swollen up. Sunday, he was a little better, and was able to walk around a little. Monday, he was much better, and he got to go home. According to Dr. Kiehna, the first year after diagnosis, patients need a new MRI about every three months to make sure the tumor is gone and the brain is returning to normal. They also check to ensure the kid is doing well in school as well as in sports. Dr. Kiehna said they have resources for kids who do have issues getting back to a ‘normal’ in school or athletics. Sammy had no problems with that. Within 10 days of the surgery, Sammy was back outside practicing for baseball. “It felt like a miracle,” Joey Rowland said. The entire experience has been a roller coaster of emotions for the family. “It reminds you just how fragile life is really, when you see what he had to go through,” Joey Rowland said. But not only is Sammy playing ball again, he's playing better than ever. Sammy had a positive outlook on playing post-surgery. Sammy realized he had been playing with a brain tumor and didn’t even know it. That inspired him to think he could only improve from there. His all-star team even won their tournament, making Sammy feel like a Terminator both on the field and in the operating room. The tumor that Sammy had is very rare; it was in the part of the brain that controls speech, language, and memory. Thankfully, in this case, none of that was affected. Sammy does have to go back for regular MRIs, but doctors expect Sammy to be just fine. When reflecting on this process, Joey Rowland remembered what it felt like as a parent to watch his child go through everything. He said understanding it all helped him to explain it to Sammy, which he believed was even more important. Things are looking up now, but that doesn’t mean the fear is gone. A little over a month ago, Sammy got a headache. He panicked, thinking his tumor had returned. Thankfully, this time it was just a normal headache. “It’s not out of the woods yet, but considering what he’s been through, it’s just remarkable where he is right now,” Joey Rowland said. In addition to Sammy’s increased confidence as a baseball player, he’s been able to use his experience to be there for others. 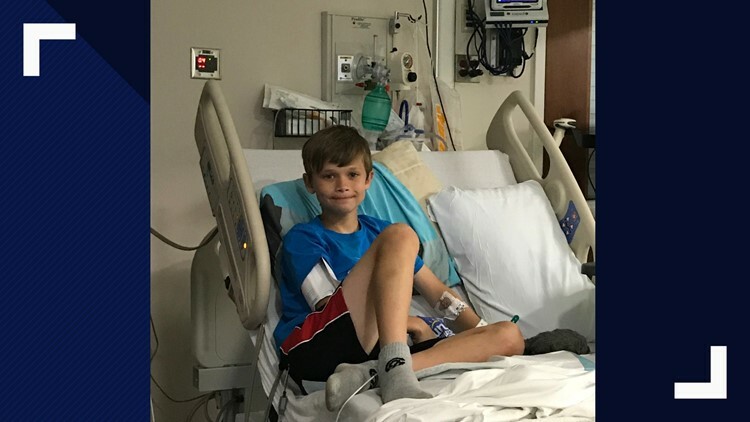 Recently, one of Sammy’s friends had to go to the hospital to get his appendix removed. Sammy thought back on his surgery and gave his friend some advice. “I told him, ‘Don’t be afraid, just believe in the person that’s working with you,’” Sammy said. Joey Rowland is able to look at the whole experience from a place of gratitude. Moving forward, he and Sammy both hope to help others in similar or worse situations. A few months ago, Sammy started making and selling superhero books around his neighborhood. He said he’s going to give all the money to St. Jude. Sammy told NBC Charlotte that when he reflected on the experience, he found himself holding back tears just thinking about the strength he had to have to get through that part of his life. He wants other kids in a similar situation to know that they can handle it. Sammy knows how much he’s grown from this experience -- both on and off the field.